What’s cooler than a 1968 Volkswagen van? Not much else… except the orginal Seattle photo bus. Yes, that amount of awesomeness exists, and his name is Moondoggy. 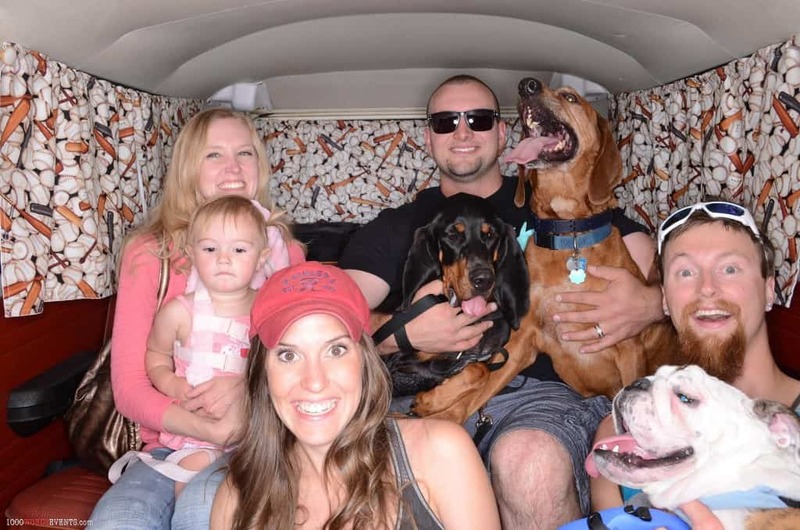 We all know that a photo booth is fun and that a retro VW van is also fun. That’s why we decided to combine the two into one big mobile party machine! 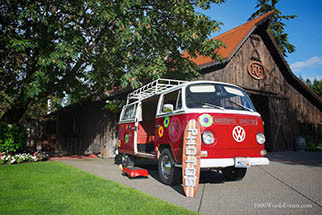 Moondoggy is the first photo booth bus in Washington (available only within the state) and the coolest car of his kind. Born in 1968, Moondoggy spent 46 years living the surfer lifestyle along the California coast. His bay windows and retro vibe were loved by his previous owner, who took excellent care of the ‘ol van. Moondoggy was originally Cali blonde but has since upgraded to a shiny red exterior, along with updates to the interior such as a new LED-lit hardwood floor. He brings smiles wherever he goes, which will be captured in his very own photo booth! Pile into Moondoggy (can squeeze up to 10 people) and get your pose on. 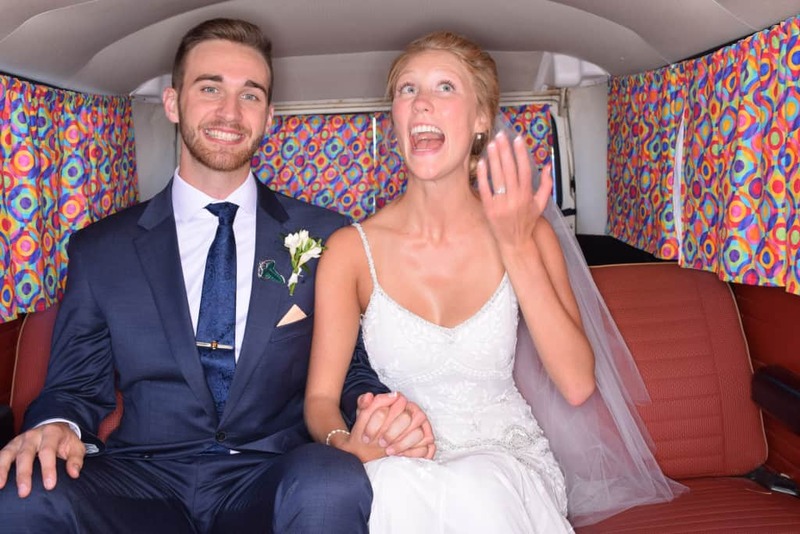 Just like our other photo booths, the van includes our selfie-style propitiatory Trigger Happy shutter release system to snap the pictures yourself. Choose from our selection of quirky props, climb into the backseat, and pose away! Just seconds later, guests will have their very own photo strip to take home and forever remember your event. Moondoggy brings a unique element to any special occasion. Whether it’s a corporate party, wedding, kid’s birthday, or any other type of event, people of all ages enjoy this mobile photo booth and will never forget their experience with it! With spring and summer on the horizon, Moondoggy is the perfect addition to a company picnic or outdoor event venue. He’ll drive right up to the best spot and be there throughout the party for guests to visit at their leisure. The smiles on your guests’ faces will be priceless—Moondoggy makes everyone feel happy and welcome! Washington customers: Book Moondoggy at your next event!